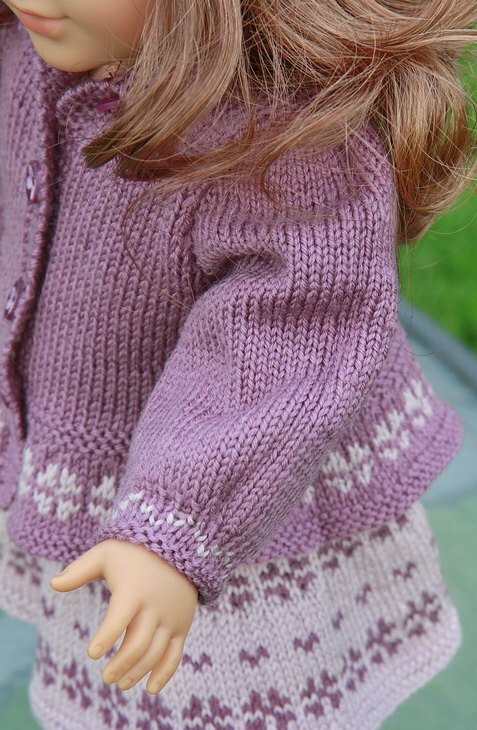 These clothes were also knitted to my dear doll on my Holiday Trip. I always enjoy looking through the yarn I have at home and find yarn to go together. 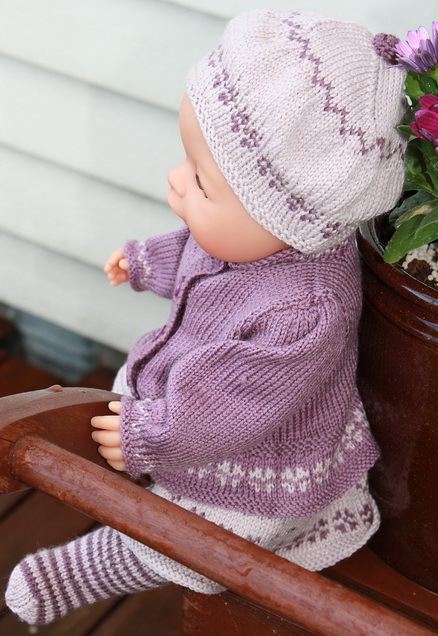 This time I decided to knit the doll clothes in lilac colors. I had 2 lilac colors at my home and thought they fit each other well. First of all I knitted the skirt. I designed small flowers for the skirt and thought it was nice when it was finished knitted. Most girls love flowers! Then I thought that I should knit a sweater to go with the skirt. 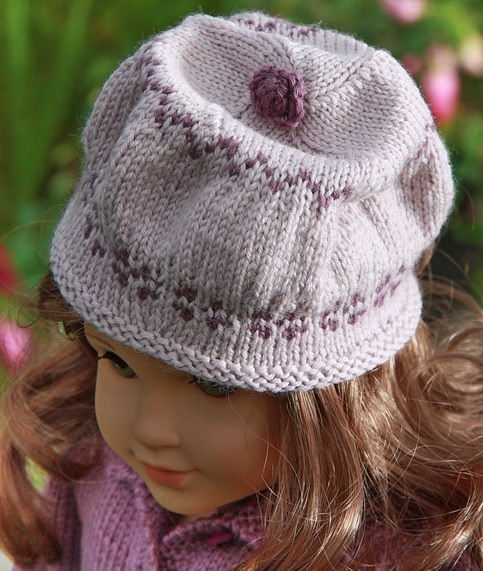 I knitted it in dark lilac with a border of light lilac flowers along the edge. I liked this sweater to wear to the skirt. 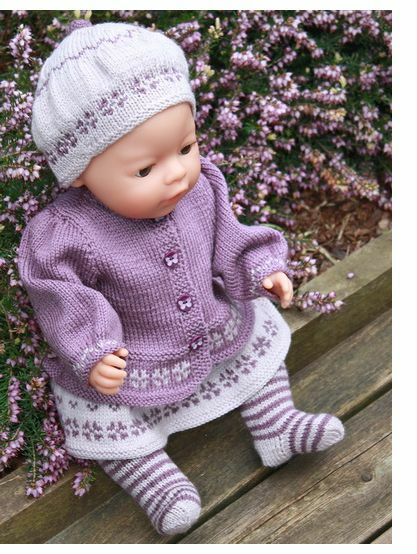 When I had made up these clothes I was lucky to find beautiful small buttons in light and dark lilac with a butterfly motive which fit this outfit very well. After that I knitted a hat with flowers round the edge. . I also crocheted a row of dc (sc) which I rolled to a little bud and sewed it to the top of the hat. Knitting a pair of socks in stripes the doll should be completely dressed! Baby born is very nice in these lovely clothes! 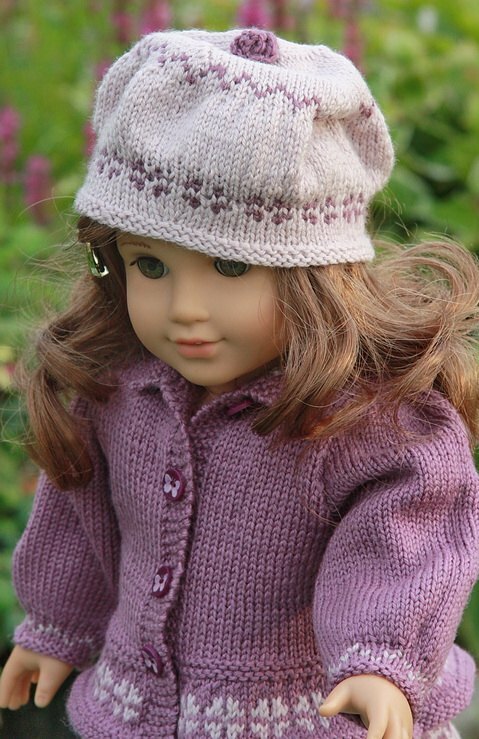 I hope you will like to knit these clothes for you doll too.